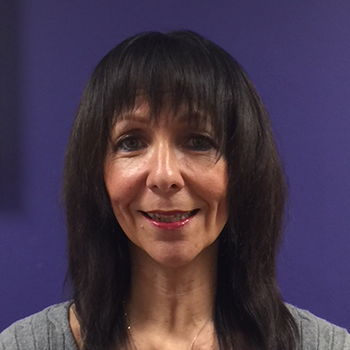 Gillian Kirkman is Subject Leader and Principal Lecturer in Social Work at the University of Huddersfield (UK) where she has strategic and developmental responsibility for post graduate (post-qualifying) social work provision. With a background in Social Work, Ms. Kirkman has extensive experience in the fields of child protection, family support, looked after children, adoption and fostering and court work. She specialised at various times in her career in group work, joint interviewing of children with Police when allegations of abuse arose and the impact of sexual abuse on female survivors. Ms. Kirkman has a longstanding interest in professional development and has delivered and commissioned training around child protection, assessment models and listening and communicating effectively with children for local authorities. As an academic, her research interests lie in relational social work and the voice of the child/young person within child protection processes. She has been seconded from her substantive academic post to take up the role of Country Director for the UK, coordinating the implementation of all Work Packages in the UK. Additionally Ms. Kirkman is a Doctoral Researcher whose PhD will explore the impact of a gender sensitive serious gaming intervention on attitudes and behaviours within adolescents’ relationship (the focus of the UK study). For more information on Gill, please visit her profile.